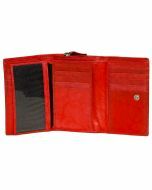 Durable and practical, this mid size wallet is a great addition to your handbag. 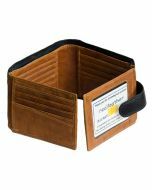 Medium sized Womens leather wallet, with multi card slots, zip around coin purse, can be used as a clutch purse. It may fit in a small slim mobile phone in the coin purse.